What kind of beer would royalty actually drink? 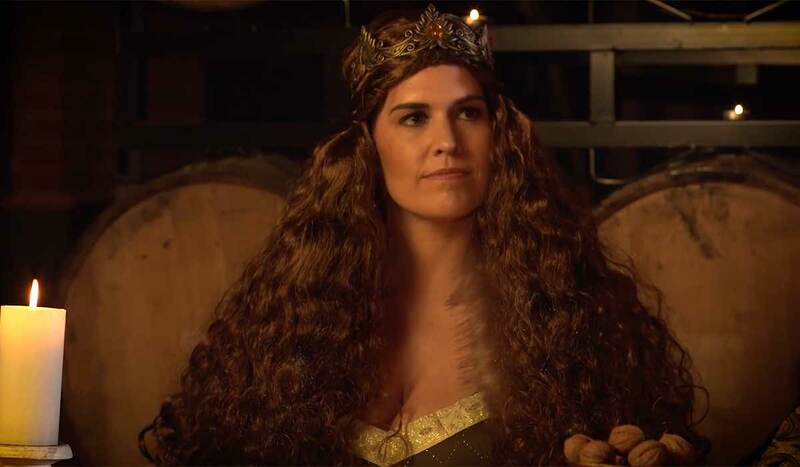 A Connecticut craft brewery has an answer to that question with a spoof on Bud Light’s “Dilly, Dilly” commercials. When the server asks their preference, the queen replies: “Don’t be silly, silly!” Of course, they want the tastier of the two dinners! Point made. Student says it took about four weeks to put the whole production together. They shot it in about five hours in BAD SONS barrel aging room. All the actors in the video are brewery employees. “We have a great group of personalities here at the brewery and when we realized we had the perfect cast for each role, we presented the idea to everyone and they were thrilled to be a part of it and make it happen,” he tells CraftBeer.com. BAD SONS joins a handful of independent breweries who have put their own creative spin on the “Dilly, Dilly” commercials. In 2017, Minneapolis’ Modist Brewing Company released a double IPA called “Dilly, Dilly,” which triggered a rather creative cease and desist letter from Bud. Watch BADS SONS “Don’t be Silly Silly” video below. How about this for a super bowl commercial.. right back at ya big beer!